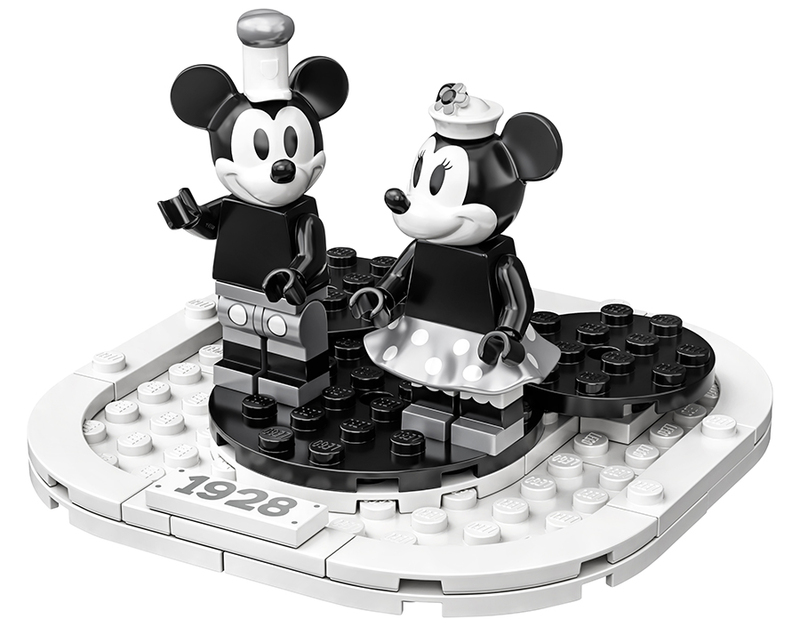 Back in 1928 Walt Disney created a cartoon that would become a milestone for the Disney. 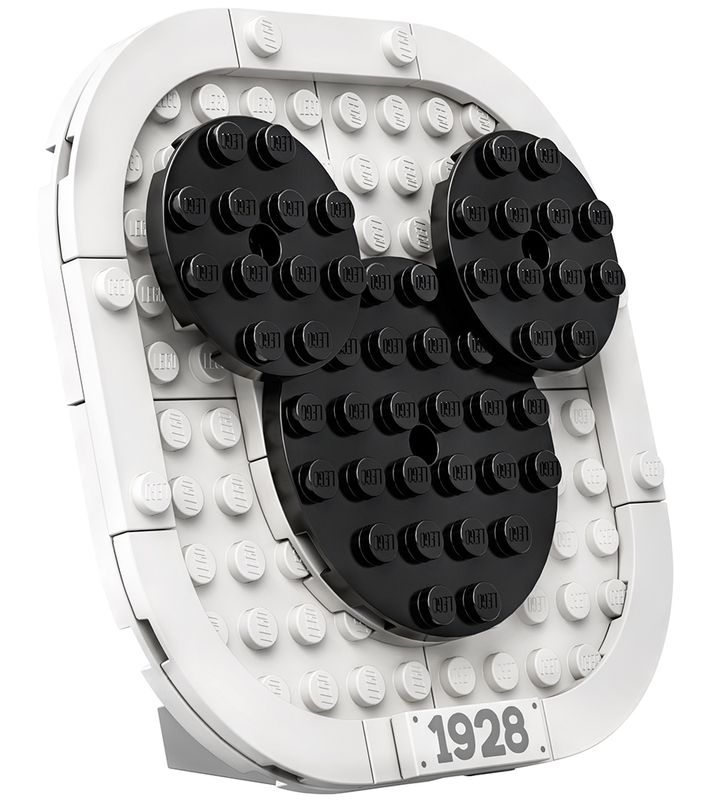 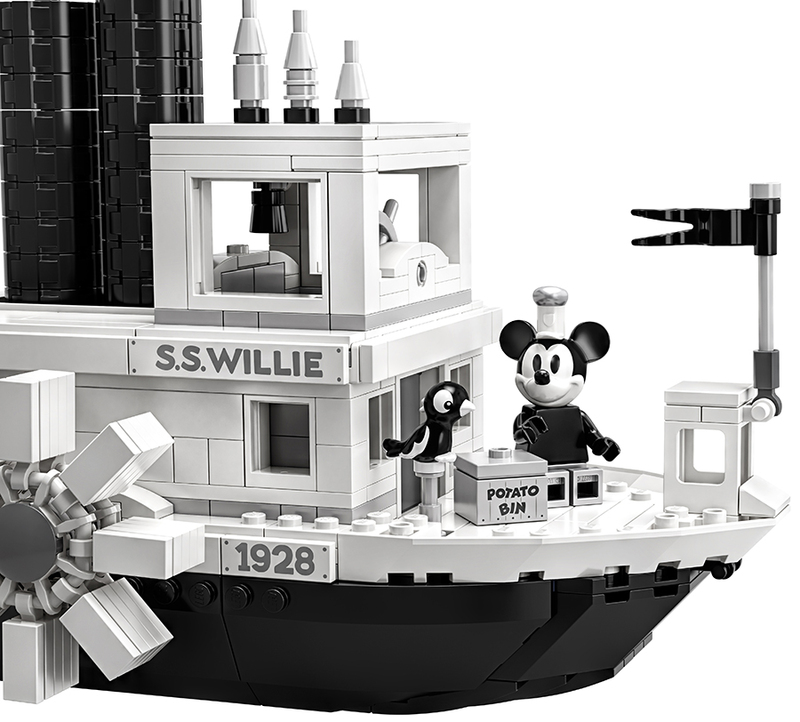 Although not the debut of Mickey Mouse, his appearance in Steamboat Willie would cement the little mouse as the face of of the Walt Disney company. 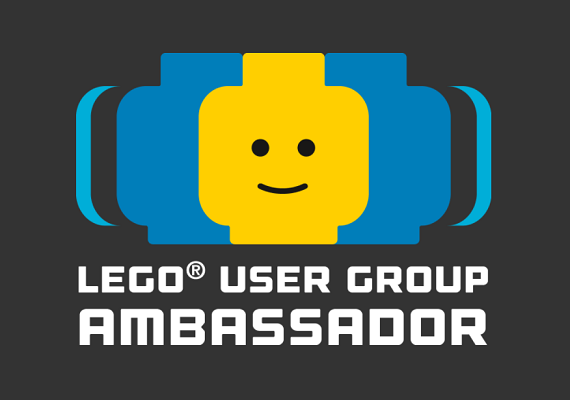 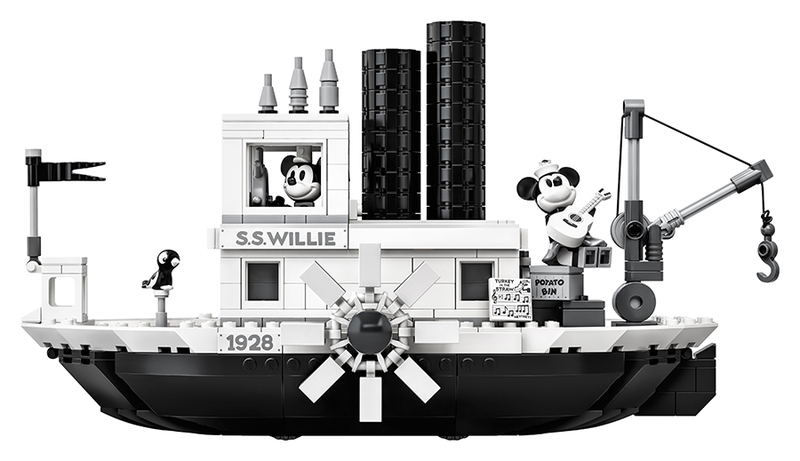 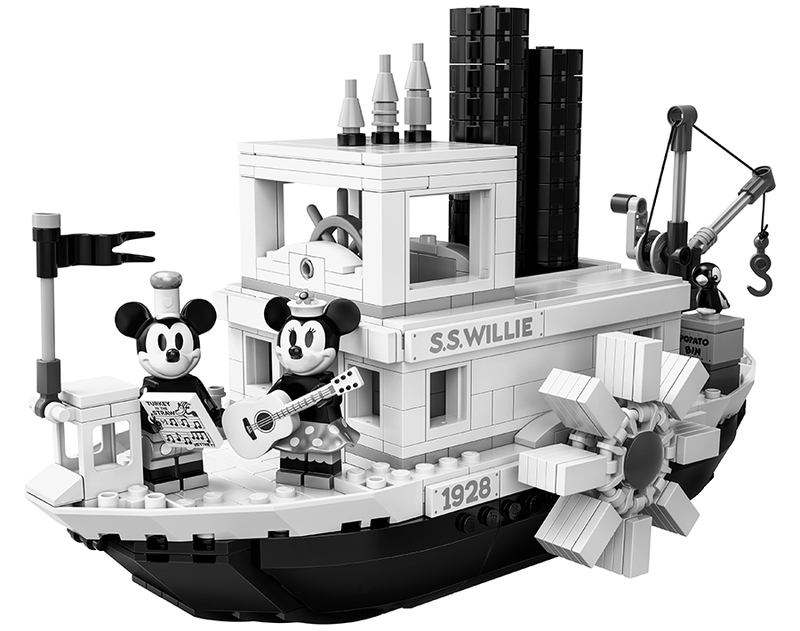 Now over 90 years on, his musical trip along the river in the S.S. Willie, has been recreated for the latest LEGO® Ideas set. 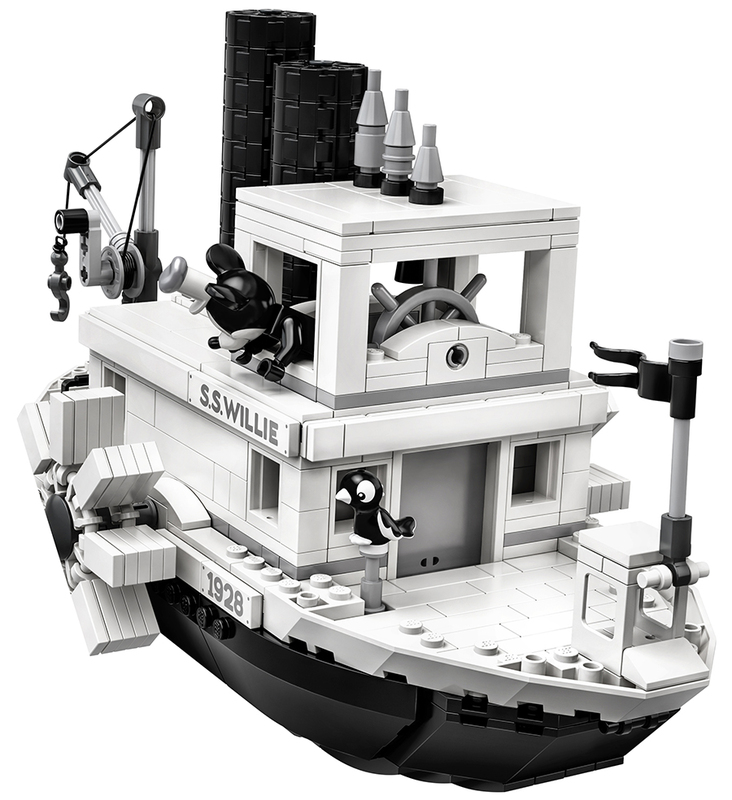 Originally envisioned by fan builder Máté Szabó, the final design of the set has vasted improved upon the submitted project. 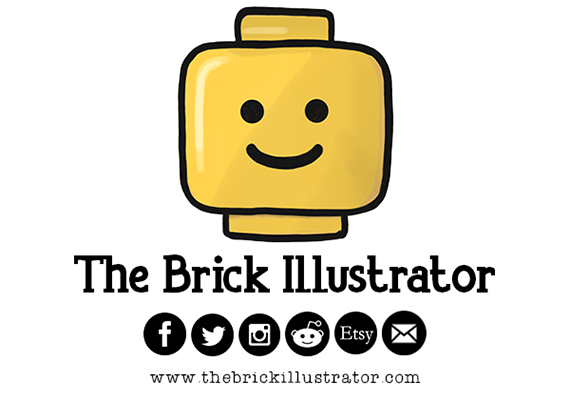 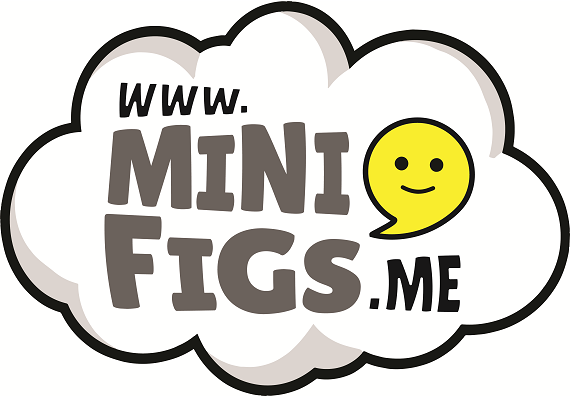 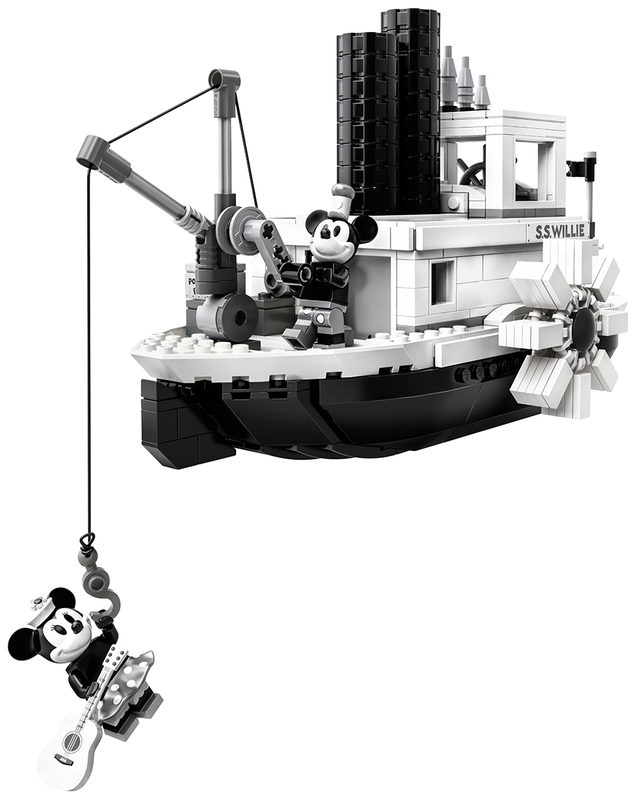 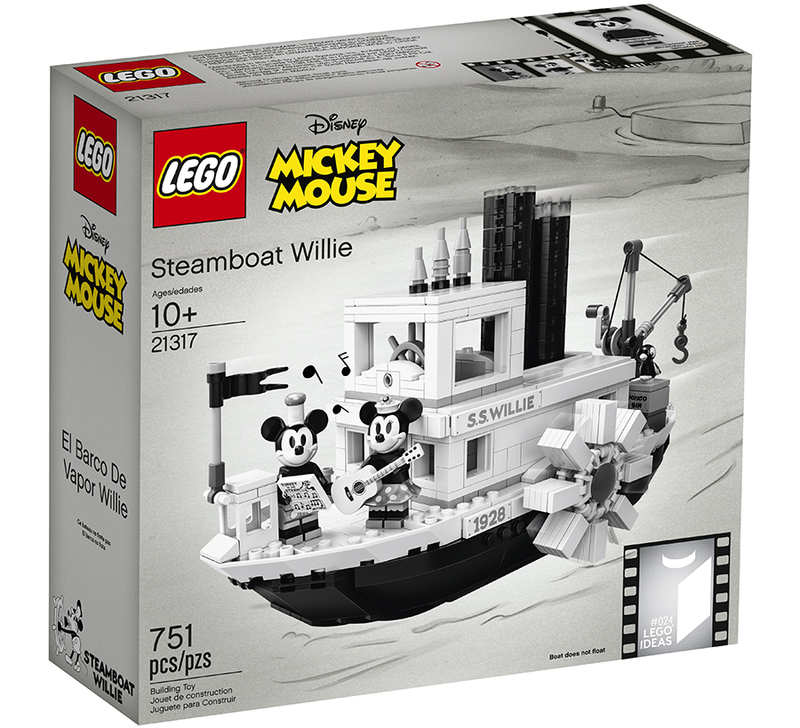 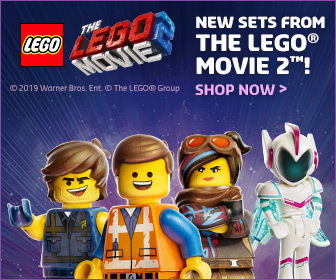 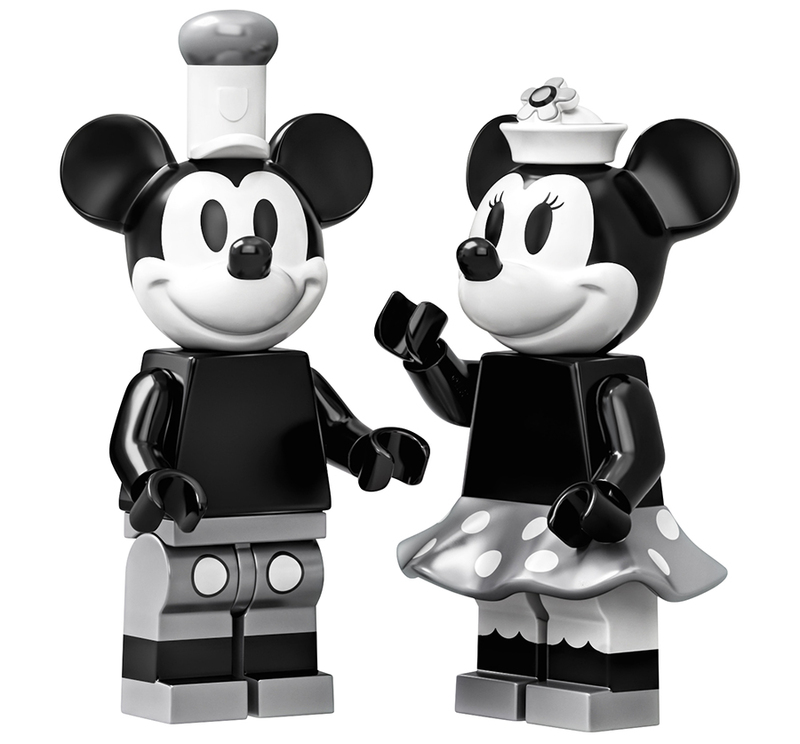 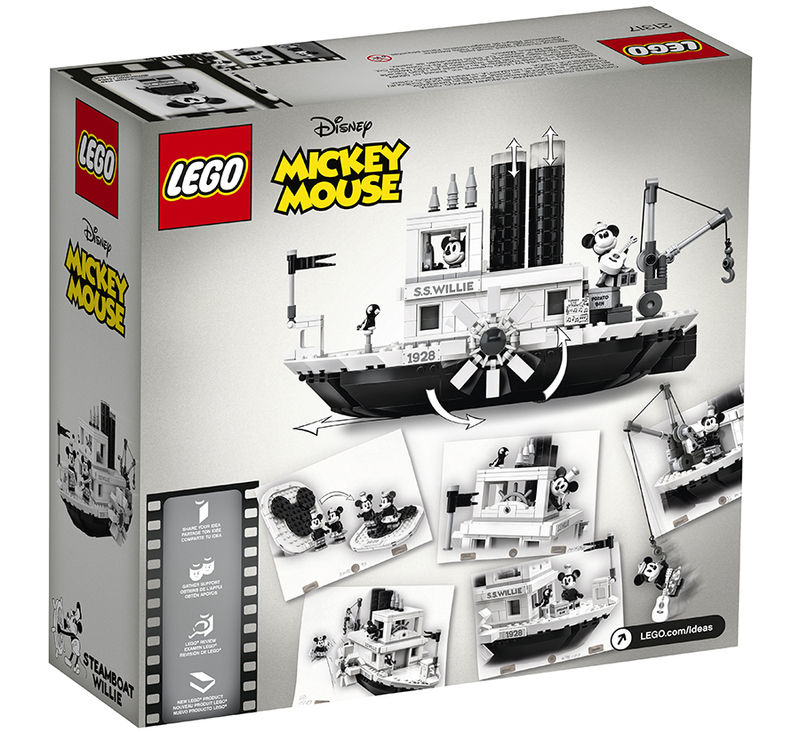 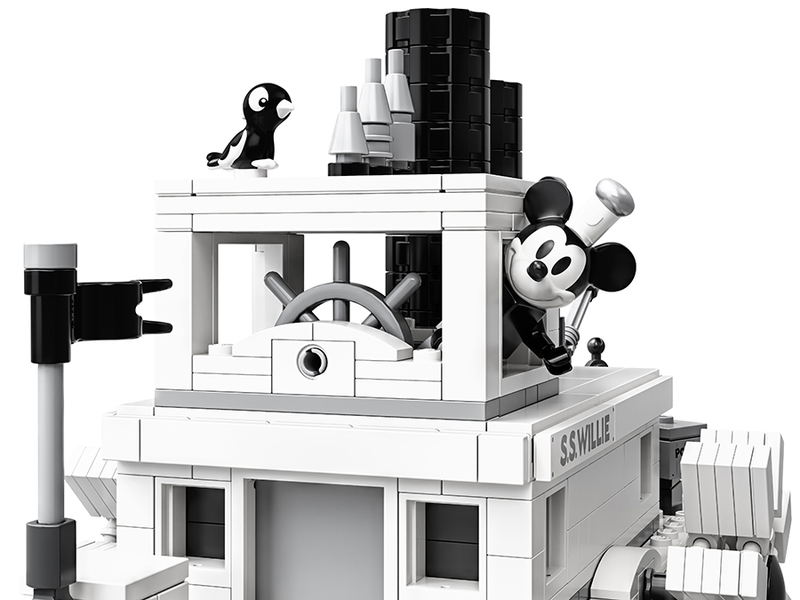 Set 21317: Steamboat Willie, features two new LEGO Disney Minifigures, along with fun play features including moving steampipes, turning paddles and a cargo crane. 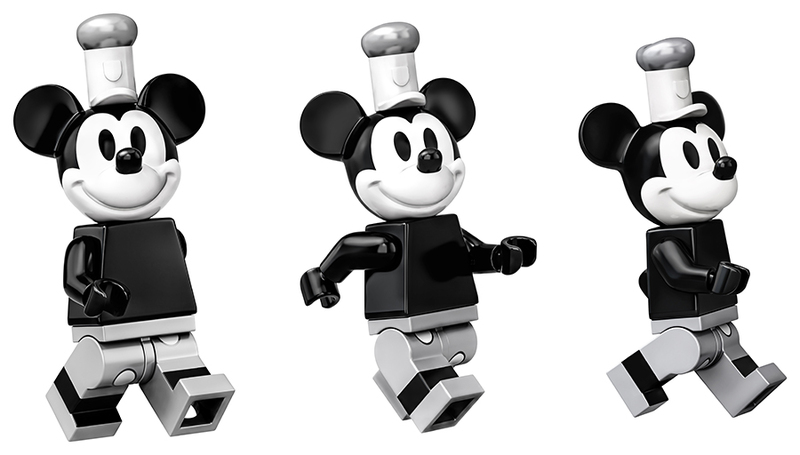 The set will be available from April 1st and you can check out more of this unique looking set below. 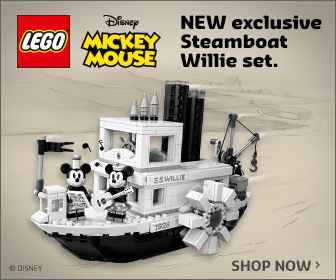 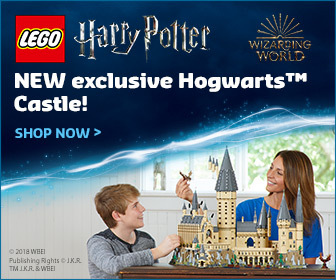 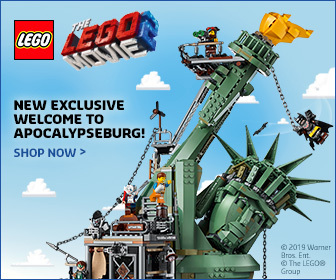 What has happened to the tree house set that was the next Ideas set due, along with the Flinstones ?